X5C-1 Upgraded Version. 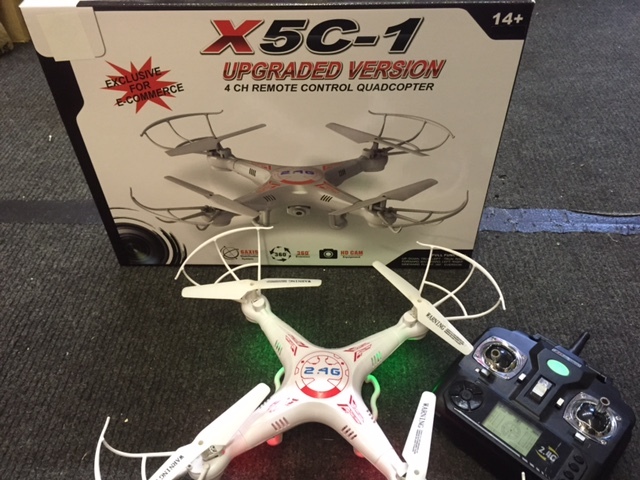 4 channel remote control quadcopter. Comes with a 2mp HD camera. Contents- 1x quadcopter, 1x 4-channel digital proportional transmitter (Requires 4x AA batteries, not included), 1x 2MP camera with built in card reader (maximum card capacity 32GB), 1x 4GB micro SD card, 1x 3.7 V 500 mAh lithium-polymer battery (for quadcopter) and user & flying instructions.